Salter Brecknell DSB4848-05 Floor Scale 5000 lb. Not all floor scales are the same. That's why the consumer needs to do their homework when making an industrial floor scale purchase. The Brecknell DSB series has several nice features to consider. First, the scale has the Brecknell name. 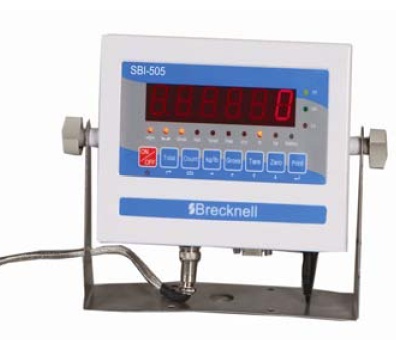 Brecknell is a division of Avery Weigh-Tronix which is one of the top industrial scale manufacturers in the world. The scale platform comes with a 3 year warranty. Finally, when you purchase a Brecknell DSB series floor scale, you're investing in a quality product that has a proven record of performance and durability. 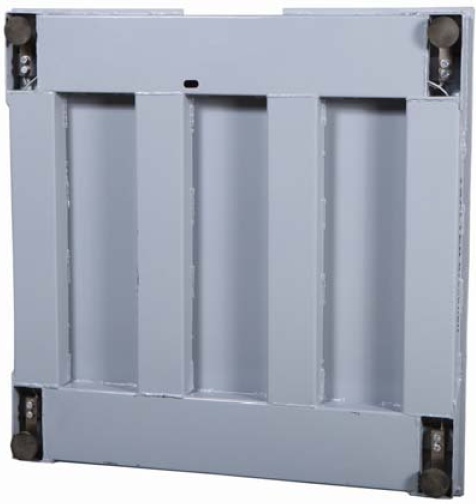 Industrial weighing applications like shipping and receiving heavy pallets of freight and bulk loading are standard procedure for the Brecknell DSB 4x4 floor scale solution. The DSB 4848-05 is a perfect and cost-effective choice which is designed to supply you with a resilient, precise and reasonably priced answer to industrial weighing in destinations such as manufacturing facilities. The Brecknell DSB platform system fits the requirement for a top quality name brand weighing machine at a selling price that is very competitive with virtually all platform suppliers. The Brecknell DSB 4 x 4 5000 pound capacity heavy duty floor scale from Brecknell Scales is NTEP certified Class lll legal-for-trade and incorporates welded channels on the bottom for exceptional toughness and protection (not all floor scales offer this by the way). 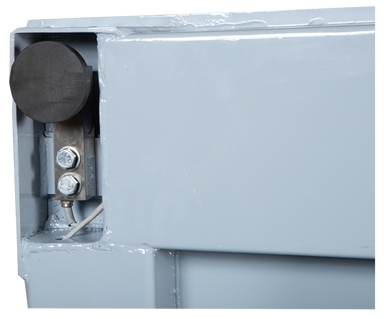 Each corner of the deck features a NTEP shear beam load cell and adjustable foot. The machine comes complete with the SBI-505 digital indicator calibrated to the floor scale. The digital indicator features Time and Date, RS-232 serial port, easily readable red LED display, Count & Total, Checkweigher function, and shows weight in pounds or kilograms. Price includes standard shipping charges for customers in continental US. Scale is shipped via LTL freight truck to locations with a fork lift or loading dock. Any additional charges would be responsibility of the buyer. Whatever you do, do not miss out on this Brecknell 4x4 5K floor scale special! For a LIMITED TIME, we are offering the Brecknell DSB4848-05 Floor Scale system with SBI-505 digital indicator for a super low price w/ Free Shipping to business locations with loading dock for forklift.